FN recently became aware of a condition found within the FNS family of pistols that, under a very limited and unlikely set of circumstances, could cause the pistol to delay fire after the trigger is initially pulled. This condition can only be replicated in FNS pistols manufactured before February 12, 2017. To our knowledge, this delayed-fire condition has only occurred in controlled testing environments; FN has not received any reports of delayed fire in the field under these unusual circumstances. 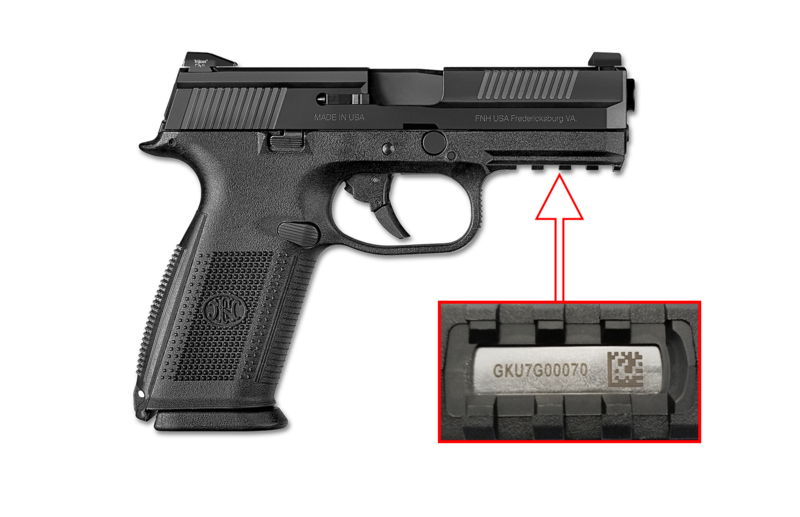 The condition may result after the FNS pistol slide is forced out of battery at a very small and specific distance, such as what might occur if the muzzle end of the slide is pressed against an object, and the trigger is pulled. The pistol functions as designed and does not fire. However, if the condition occurs, one of two scenarios may result: (1) if the trigger is held to the rear, the pistol could delay firing until the time when the slide moves back into battery, or (2) if force is removed from the trigger and the slide moves back into battery, the pistol could fire if jarred. In the unlikely event that scenario (2) occurs, keep the pistol pointed in a safe direction and rack the slide to the rear to reset the pistol. Avoid a “tap, rack, bang” clearing sequence. While this condition is highly unlikely to occur in the normal course of operation, out of an abundance of caution FN is offering to substitute the striker in affected FNS-9, FNS-9 Longslide, FNS‑9 Compact, FNS-40, FNS-40 Longslide, and FNS-40 Compact pistols free of charge. Once the striker is replaced, the condition no longer occurs. Not all FNS serial numbers are affected by this condition. Therefore, FNS owners are asked to please use the serial number lookup found below. If the pistol is affected, further instruction on returning the FNS for service will be provided. Note: Please do not ship any affected product to FN until a FedEx label has been generated and sent. If the firearm is not affected, a message stating such will be displayed. For questions about this service bulletin or assistance in returning an FNS pistol for a substitute striker, contact the FNS support team at 1-800-635-1321, extension 145, or by email at FNSservice@fnamerica.com. Hours of operation are 10 a.m. to 4 p.m. Eastern time, Monday through Friday. Not all FNS serial numbers are affected: Therefore, FNS owners are asked to use the below link and input their serial number. If the firearm is affected, further instruction on returning the FNS for service will be provided. Note: Please do not ship any affected product to FN until a FedEx label has been generated and sent to you. If the firearm is not affected, a message stating such will be displayed. FN is deeply committed to providing customers with the safest, most reliable firearms possible. Patience and cooperation is appreciated as we receive, inspect and service these firearms. We will make every effort to return the product back to customers within 3 weeks of receipt. For questions about the service bulletin or assistance in returning a firearm, contact the FNS Support team at 1-800-635-1321, extension 145, or by email at FNSservice@fnamerica.com. Hours of operation are 10 a.m. to 4 p.m. Eastern time, Monday through Friday. You will need to enter your 10 digit serial number. Q: Why is there a service bulletin on certain FNS pistols? A: A service bulletin was issued for certain FNS pistols manufactured before February 12, 2017, to advise owners that under a very limited and unlikely set of circumstances the pistol may delay firing after the trigger has initially been pulled. While this condition is highly unlikely to occur in the normal course of operation, out of an abundance of caution, FN is offering to substitute the striker in affected FNS pistols. Q: What is the condition that affects the FNS pistols? A: Under a very limited and unlikely set of circumstances, FNS pistols manufactured before February 12, 2017, could delay fire after the trigger is initially pulled. The condition may result after the FNS pistol slide is forced out of battery at a very small and specific distance, such as what might occur if the muzzle end of the slide is pressed against an object, and the trigger is pulled. The pistol functions as designed and does not fire. However, if the condition occurs, one of two scenarios may result: (1) if the trigger is held to the rear, the pistol could delay fire until the time when the slide moves back into battery, or (2) if force is removed from the trigger and the slide moves back into battery, the pistol could fire if jarred. In the unlikely event that scenario (2) occurs, keep the pistol pointed in a safe direction and rack the slide to the rear to reset the pistol. Avoid a “tap, rack, bang” clearing sequence. Q: How do I know if my FNS is affected? Q: How long will it take to get my FNS back? A: It will take approximately 3 weeks to substitute the striker in your FNS and return it to you. Q: What if I choose not to send in my FNS for service? A: This service bulletin is not mandatory due to the very limited and unusual set of circumstances that could cause the condition.